The time for talks came and went in the 1990s, partly because the US could not get its act together. It is unclear what President Trump hopes to achieve through his blustering even as rightwing forces in Japan eye full-scale rearmament. Will the escalating war of words between the United States and North Korea spin out of control and lead to a real shooting one? No, I don't think so. No one in his right mind will want that as the consequences are just too horrendous even to contemplate. For Pyongyang, there is nothing to gain and everything to lose if it were to launch any pre-emptive attack. It must know that war is certain to bring massive devastation and no country will rush to its aid. Not Russia nor China, which has already signalled that it does not see itself as being obliged under its mutual defence treaty with North Korea to intervene if the latter fires the first shot. Sure, North Korean Foreign Minister Ri Yong Ho has threatened to shoot down American planes even if they are outside his country's air space - in response to the " declaration of war" which he said President Donald Trump had issued when he tweeted that North Korea and its leader Kim Jong Un would not be around for long if they continued their provocations. I see that as just part of the rather juvenile trading of insults and threats between President Trump and the North Koreans. Whatever some Western commentators may have said of him, Mr Kim is a cold, calculating and ruthless tyrant who wants more than anything else to stay alive and in power. So he will not make the first move and will not give the Americans any excuse to do so. I am less sure, though, about Mr Trump's grasp of what his continuing stream of blustering can lead to - as well as his self-control. What does he hope to achieve? Divert attention from his domestic political problems, which would be dreadfully irresponsible of him. Scare Pyongyang into abandoning its plan to develop long-range ballistic missiles with nuclear warheads? Frankly, I do not see any hope of either succeeding. Then what? Will the temptation to act on the threat become irresistible? Thankfully, I think that moment is yet to come and I hope there are enough voices of moderation and reason around him to explain that Mr Kim and his generals cannot succumb as they see the acquisition of a nuclear strike capability as the only true guarantee of survival of their regime, never mind what the rest of the world, China included, thinks or says. And Pyongyang has gone so far down the nuclear road that nothing short of total annihilation will stop it. But what would be the justification for that? What moral argument can one use to assert that it is unacceptable for North Korea to acquire nuclear weapons when it is all right for the US, Russia, China, Britain, France, India, Pakistan and Israel to have them? Can the US then argue that North Korea as a nuclear power will be a threat to America's interests and that it had better remove it before the North Koreans acquire the capability to send a nuclear missile towards California? Seriously? A threat against a superpower with more than 550 military bases or facilities around the world, with stealth bombers from Guam and Japan, and missiles from the Seventh Fleet patrolling off the Korean Peninsula, that can blast North Korea back to the Stone Age within minutes? And what American interests can Pyongyang threaten that will make it compelling to rain death on millions? It is Pyongyang that sees the US military presence in North East Asia as a threat to its existence, and not without cause. It has only to look at what the US did to Saddam Hussein in Iraq and Muammar Gaddafi of Libya, under the pretext of preventing them from acquiring weapons of mass destruction, and what it is trying to do to Bashar al-Assad in Syria today. Mr Kim and his generals cannot be blind to the existence of about 600,000 well-equipped South Korean fighting men and women and 25,000 American troops, all combat ready, just 60km south of their border - and, more ominously, hawkish politicians in Seoul, Tokyo and Washington itching to effect a regime change in Pyongyang. What is to be done now? 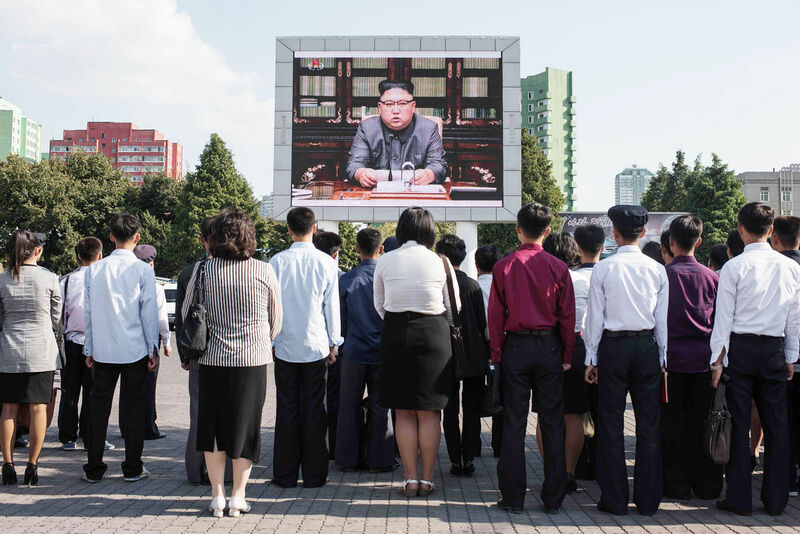 If nothing can assuage Pyongyang's paramount concern about its survival, then the world may well have to live with a nuclear North Korea as it has with a nuclear India or Israel. So what if it has nuclear missiles when it knows full well that using them will invite total destruction? So if you were sitting in Pyongyang, what would you do? Go for the most cost-effective weapon that gives your enemies pause before they strike, of course. Sanctions? They will tough it out. They remember what Mao Zedong said - that the Chinese people must have the atomic bomb even if that meant they had no trousers to wear. I do not welcome the prospect of Pyongyang acquiring nuclear weapons but I think it is important for the world to have a cold-eyed view of the realities as they are, just so it can better deal with them. What options are there? As Mr Kim's foremost concern is the survival of his regime, can he be persuaded to back off if the powers that matter give him a cast-iron guarantee that no regime change will be mounted and an underwriting of North Korea's security by, say, both Russia and China? Once upon a time, that could have worked but now, I doubt so. Weeks ago, US Secretary of State Rex Tillerson declared that Washington was not out to force a regime change on North Korea. Then... nothing. No follow-up from Pyongyang and, more pointedly, Washington. Not only did President Trump not utter a supporting word, he turned even more bellicose instead, culminating in his stunning statement to the UN General Assembly that the US would destroy North Korea totally if it made any move against the US and its allies. Given the political forces at work within the US and America's spotty record at keeping its word, it is by no means certain that Pyongyang would even trust any pledge by a very ideologically divided US. How can it when neo-cons like former US ambassador to the UN John Bolton are dead against any deal with an evil regime like North Korea's? Or when Republican Senator Lindsey Graham said openly that if thousands died as a result of war with North Korea, the deaths would be "over there" and not in the US? Not to mention that only months ago, the Trump administration pulled out of the Paris climate accord that its predecessor spent years negotiating, just like that. The sad irony of it all is that years ago, North Korea did sit down with the US, and negotiated a nuclear deal. In 1994, tension ran very high in the Korean Peninsula and talk of war was in the air (just like now) because there were intelligence reports that Pyongyang was re-processing plutonium with a view to developing bomb-making capabilities. As neither side wanted war, they sat down to talk. On Oct 21, the Clinton administration and the regime of Mr Kim Jong Il, father of the present ruler, signed what came to be known as the Agreed Framework (AF). The bargain struck was this - in return for shutting down Pyongyang's plutonium reactor, a consortium led by the US would supply heavy fuel oil to make up for the shortfall in electricity production as a result of that closure, as well as help build less dangerous light water reactors as a longer-term solution. But some Republican politicians in and outside Congress were opposed to the deal and campaigned against it vehemently - just as present-day Republicans now rail against the Obama administration's deal with Iran. Before the decade was out, the AF was as good as dead, with the US not living up to its side of the deal. Delivery of the heavy fuel was tardy, construction of the foundation for the light water reactors ran way behind schedule, and the US was not putting up its share of the money. Pyongyang, on its part, either in response to the US reneging, or surreptitiously from the start, went about developing an alternative route to nuclear bomb-making - enriching uranium. There is no conclusive evidence to indicate which came first or whether they occurred concurrently. (Professor Lawrence Wilkerson, a specialist on North Korea and a key player in the Clinton administration, wrote a detailed account in the American Conservative magazine recently.) But no matter, as there is virtually no chance that the AF, which also envisages formal diplomatic ties between the US and North Korea, can be re-enacted, even in a different form, any time soon. So an opportunity to build on the rapprochement and wean Pyongyang off its nuclear ambitions was lost because a partisan America could not get its act together. Well, what is to be done now? If nothing can assuage Pyongyang's paramount concern about its survival, then the world may well have to live with a nuclear North Korea as it has with a nuclear India or Israel. So what if it has nuclear missiles when it knows full well that using them will invite total destruction? No doubt North Korea will remain a problem for its neighbours for the foreseeable future. But I am not sure the military industrial complex and neo-cons in the US would mind too much as it gives them the excuse to continue selling arms and maintaining their substantial forces in North-east Asia. The only real worry is that a nuclear North Korea is likely to encourage rightwing forces in Japan to call for full-scale rearmament and even going nuclear too, which Japan can do in the blink of an eye. Now that will pose real challenges to not only China but also the US. 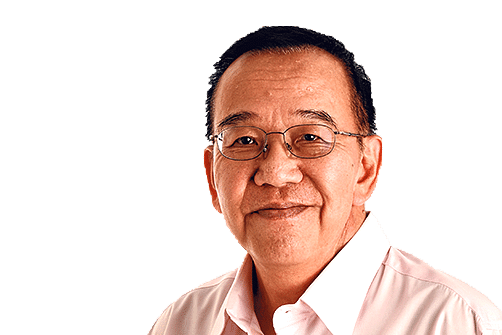 Leslie Fong is a former editor of The Straits Times.